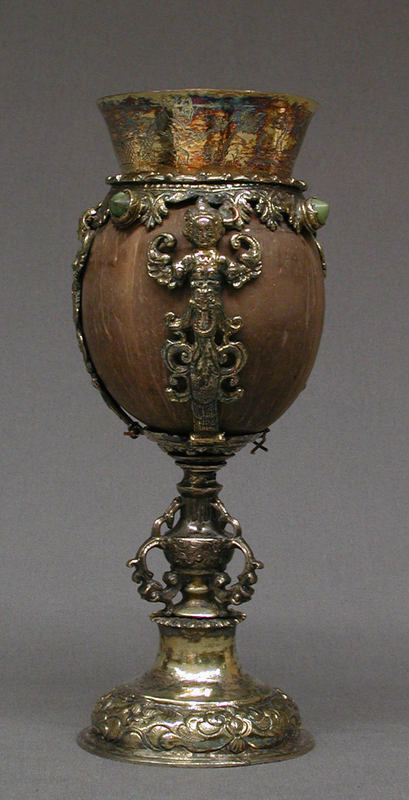 "Silver gilt cup and cover enclosing an ostrich-egg. The body has embossed and enamelled decoration in red, blue, green and white, three vertical straps, surmounted by masks. The cover has three pierced straps enamelled decoration with crosses and fleur-des-lys. The finial is an ostrich-egg holding up a shield with a crowned coat of arms [...] Made for the prince (waivoda) of Transylvania, a member of the Habsburg family, who ruled as a vassel of the Ottoman Empire. The inside of the egg has silver-gilt meticulously decorated with intersecting curving lines. The egg has been replaced or stripped." This inscription enables us to identify the owner of the cup more precisely: it was not made for the Prince of Transylvania - who in 1576 was Stephen Báthory - but for his brother, Cristopher (Krisfóf) Báthory. As reported earlier on this blog, The Metropolitan Museum of Art has recently purchased the best objects from the collection of the late Nicholas M. Salgo. 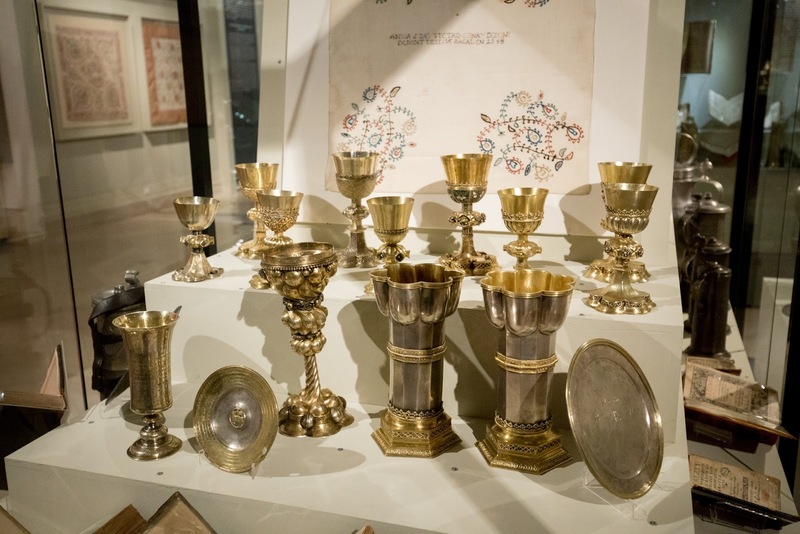 The collection includes two late medieval chalices, likely made in Hungary, as well as a large amount of goldsmith works from the 16-18th centuries, and originating from Hungary as well as from the Principality of Transylvania. 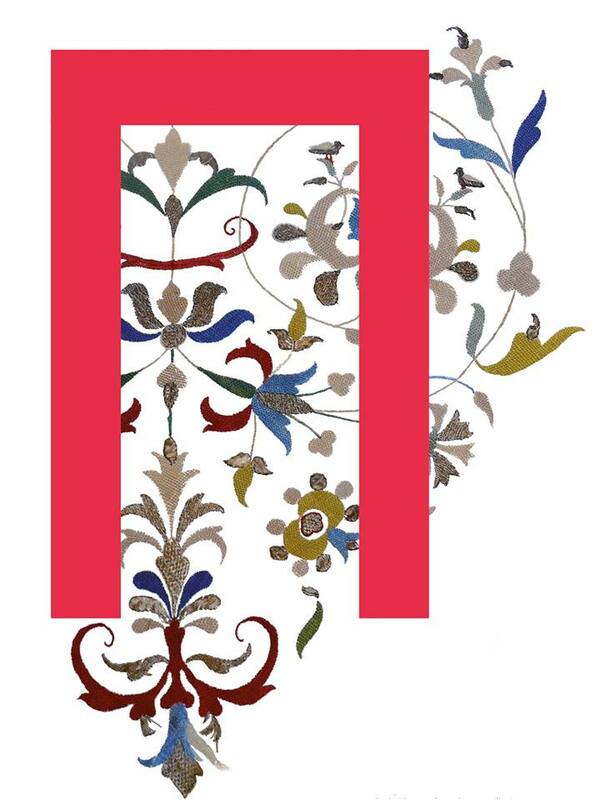 From April 6th until late October 2015, the collection is on view in the decorative arts galleries of the Metropolitan Museum (just in front of the Robert Lehman Wing). "Nicolas M. Salgo (1914–2005), a Hungarian native and former United States ambassador to Budapest, was fascinated by the art of the goldsmith in Hungarian culture and formed his own "treasury" by collecting pieces that are individual and unique. 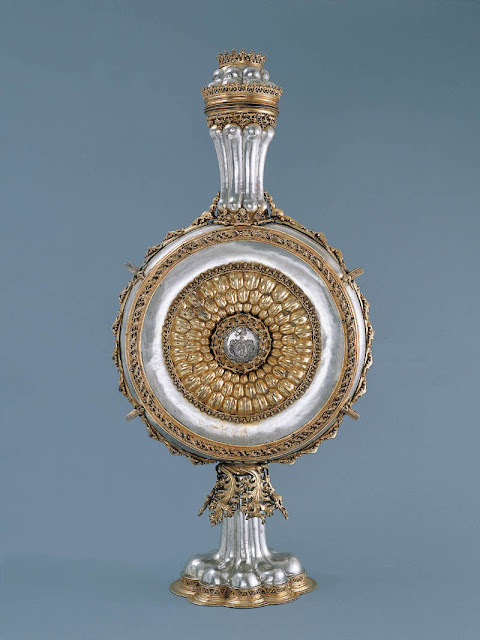 This exhibition will celebrate the gift to the Metropolitan Museum of the major part of the silver collection assembled by this focused collector over three decades. This large collection of silver—about 120 pieces, most dating from the fifteenth to the late eighteenth century—comprises a variety of types with especially refined appearance and high levels of craftsmanship, representing Hungarian silver at its best. The earliest works in the Salgo Collection are two rare medieval chalices ornamented with colorful filigree enamel. The intriguing shapes, inventive decoration, and historical importance of the objects—products of once-prosperous local aristocratic dynasties—make this ensemble exceptional. 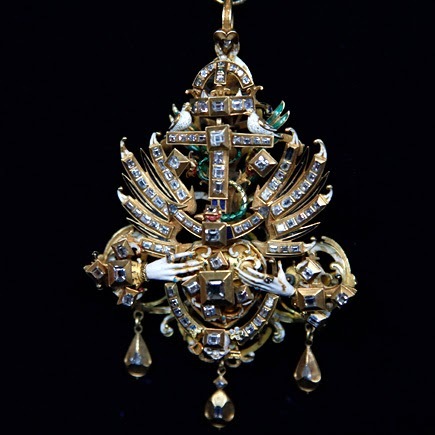 As a result of this generous gift, the Metropolitan Museum is now the only museum outside Hungary to possess such an array of sumptuous goldsmiths' work from the region." The collection database of the Metropolitan Museum includes more detailed information on all the objects, as well as a large selection of photographs. You can get to this material via these links: link1 and link2. Let me end this post with a personal note. My family on my father's side originates from the town of Brassó in Transylvania (known as Kronstadt in German, now Brasov in Romania). 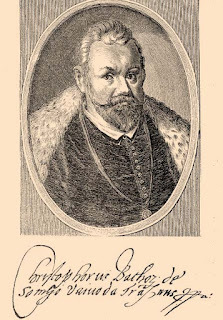 It is recorded that some of my ancestors were goldsmiths - as commemorated for example in a poem by my great-grandfather, Lajos Áprily (Jékely) (you can read it here in Hungarian). Well, the Salgó collection includes a very nice beaker from the early 17th century, made by Jeremias Jekel, goldsmith in Brassó, who died in 1676 - and was thus maybe a distant ancestor of my family. During the last five years, I wrote on various subjects on this blog, including the discoveries of treasure hoards and wall paintings, interesting exhibitions and new publications, museum collections and organizational changes and many others. The beginning of a new year seems like a good time to re-visit some of these topics, and to give a quick update on some of the news I reported. Here, then, is a medieval news update, focusing on some of the most popular topics on the medieval Hungary blog. 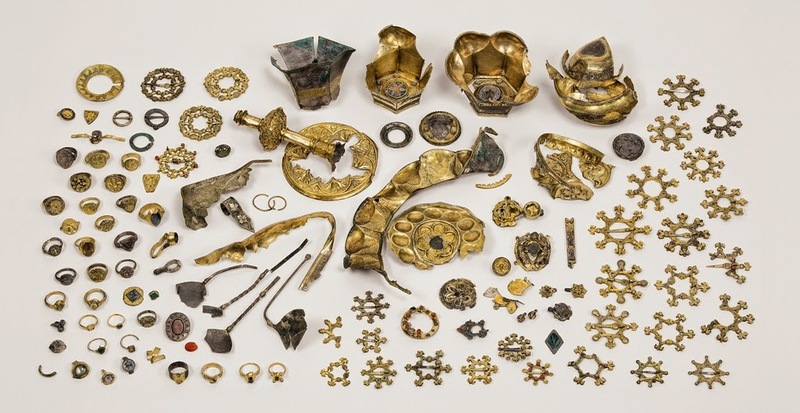 Back in 2011, I reported on the discovery of a significant medieval treasure hoard found in Wiener Neustadt, Austria. 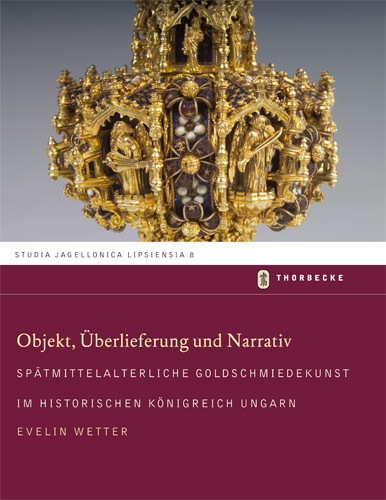 The objects - over 200 in total - have since been cleaned and restored, and are now presented in a lavish new publication issued by the Austrian Office of Monument Preservation (Bundesdenkmalamt). The book describes the discovery of the treasure, and provides an exhaustive survey of the objects, including a detailed techical analysis of the materials, as well as studies on the art historical and cultural significance of the treasures. A catalogue of all the objects and an extensive photographic documentation is also included in the book. On the publisher's website you can browse the beginning of the book, and there are also a number of photos available (this is the source of the image above). A smaller publication, a brief introduction to the treasure, has also been published. 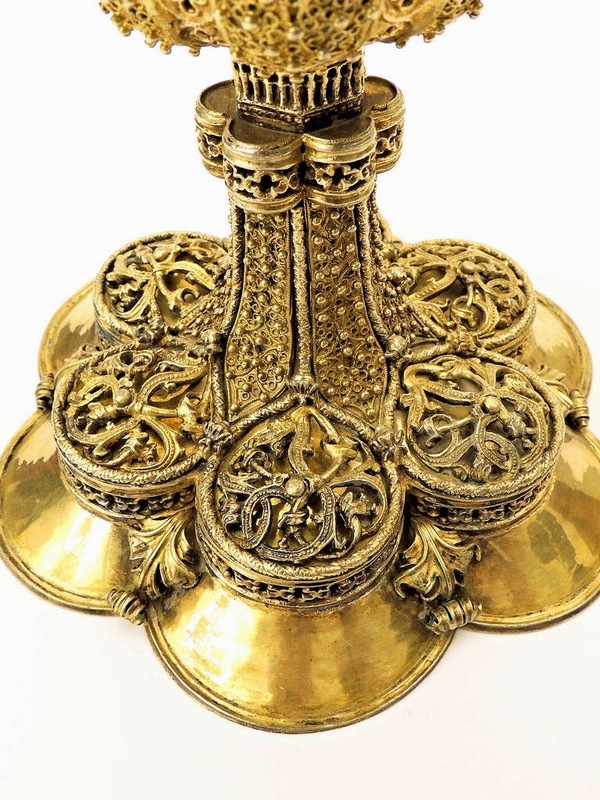 Another treasure collection, goldsmith objects once in the collection of Baron Mór Lipót Herzog, surfaced at a New York auction a few years ago, as I reported also in 2011. 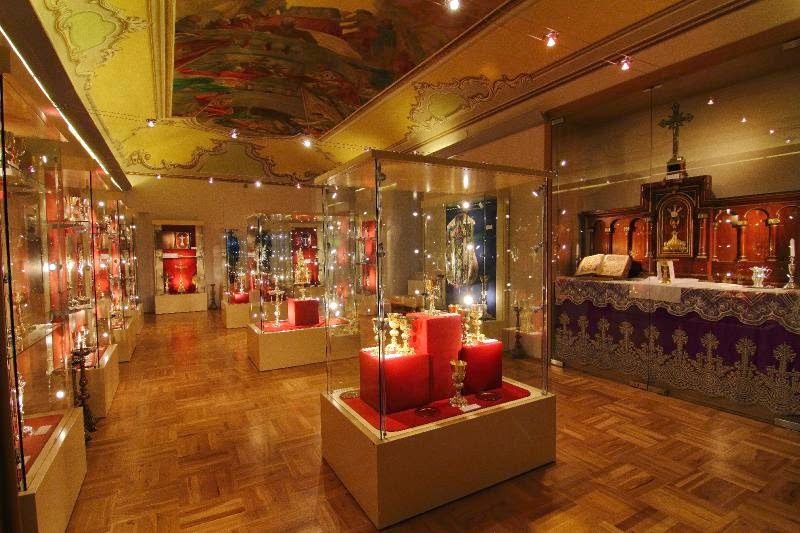 It has now been revealed that the mysterious buyer of the objects at the sale was the State of Hungary, and the objects have been placed in the National Museum. After three years, in late 2014, the collection has been put on view in a special exhibition at the museum (which is open until January 25, 2014). No catalogue has been published, and there is no information available on the website of the museum - but a photo gallery is available on the website of the Hungarian state news agency, hirado.hu, by clicking on the image on this page. A total of 32 pieces entered the museum, all of which at one time belonged to Mór Lipót Herzog, who passed away in 1934. The pieces have been recorded earlier as wartime victims of looting, and their whereabouts were unknown until the New York sale. Transylvanian goldsmith works from the former Herzog collection - Hungarian National Museum, on view until January 25, 2015. For more information (in Hungarian), visit Obeliscus, an online journal on the early modern period. The Treasury of the medieval parish church of Gyöngyös, dedicated to St. Bartholomew, reopened for visitor at the beginning of July. The Treasury - one of the richest in Hungary, after the treasuries at Esztergom and Győr cathedrals - has important medieval holdings as well. Most important in this respect are the seven late medieval chalices made around 1500, probably in a workshop in Upper Hungary, all decorated with a special filigree ornament. The recent history of the treasury is quite interesting: the treasures were hidden in 1944, and were only recovered in 1967. The objects were later put on display, but a number of them got stolen in 2012. These five Baroque objects were soon recovered by the police, but unfortunately, in a dismembered state. However, as of now, all of the objects are on view in the newly created exhibition room in the parish building, the so-called Szent Korona House. 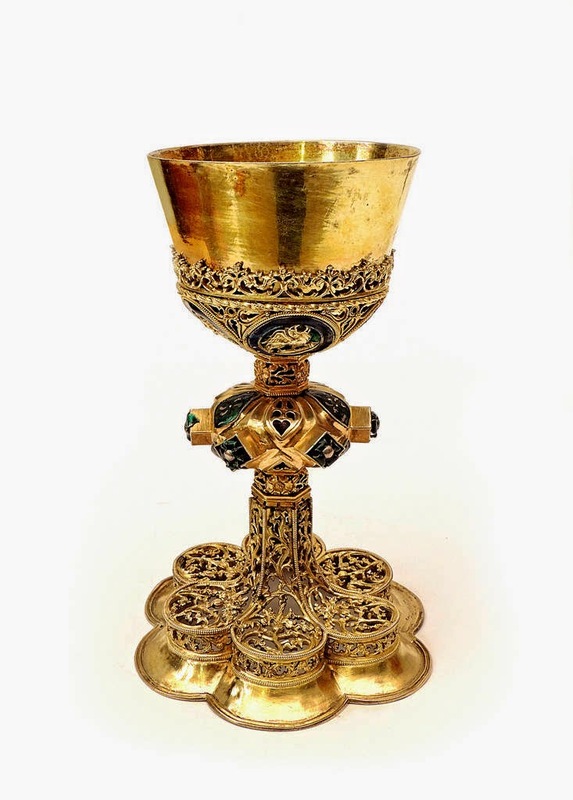 In addition to the chalices, the Treasury also includes a number of other medieval objects, as well as a large number of Baroque liturgical objects, including reliquiaries, monstrances and church vestments. A number of paintings, sculptures and a significant library round out the collection. Visitors can also see two specialised conservation workshops (for goldsmith works and for textiles). More information can be found on the new website of the parish (which is still being developed). You can also read more about the recent history of the treasures in this article (in Hungarian). Source of images: here and here. 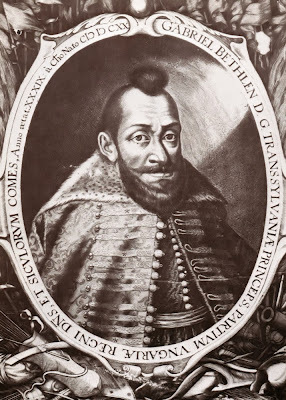 "400 years ago, on 23 October, 1613, Gabriel Bethlen (1580–1629), the most significant Prince of Transylvania ascended the throne. He had to take over a devastated country, empty treasury and desperate politicians due to the ill-considered policy of his immediate predecessor and the damages of the Long Turkish War (1593-1606). The existence of the Principality of Transylvania was restricted by the Turkish protectorate and threatened by the Habsburg Empire. The situation was even worsened by the political and economic crisis affecting all Europe. Gabriel Bethlen was able to get out of this seemingly hopeless situation with recognizing the possibilities lying just in these desperate circumstances. He created a new, effective team of politicians, a court of high European standards, and with brilliant organizing work he could stabilize the political and economic situation in Transylvania. He connected to the European diplomatic and military processes. He generated a powerful military force, and arranged the situation – having been unresolved for more than half a century – of the Székelys forming the main part of the army. His military actions coordinated with his allies were supplemented with his many-folded diplomatic activity. With his peace treaties he was able to enlarge the territory of the Principality of Transylvania, becoming part of the European alliance system with the Treaties of Hague and Westminster. 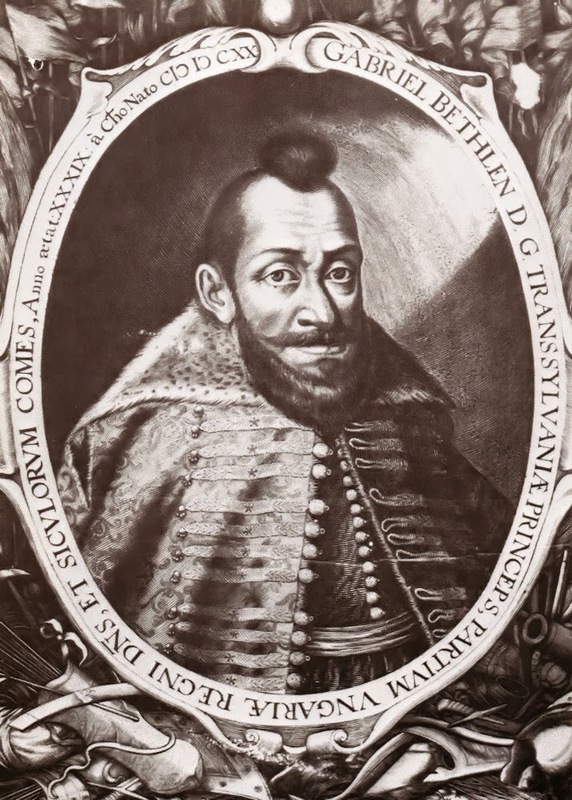 He was elected and ceremonially acclaimed king of Hungary on 25 August 1620, but later he refused to be crowned which made it possible for him to come to an agreement with the Habsburg Monarch and to keep the Ottoman Empire from gaining more influence and from expanding in Transylvania. From then on, Transylvania became the main support for the political and cultural endeavors of Hungarian estates in the Habsburg Empire. The tolerant religious policy of the protestant ruler made Transylvania a host country again. He provided the training of “up-to-date” intellectuals with founding schools and university scholarships. His multifaceted activity served as inspiration for generations from his age on through the centuries." I would like to call attention to a few exhibitions and events of the Bethlen Memorial Year. An exhibition on Gábor Bethlen and his era is currently on view at the Hungarian National Archives. 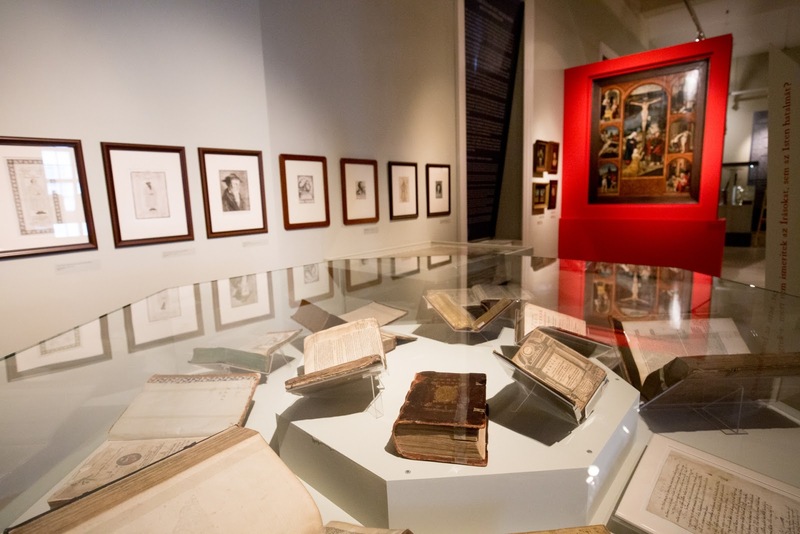 Opening next month (on view November 12, 2013 - February 2, 2014) is the main exhibition of the memorial year at the Hungarian National Museum. 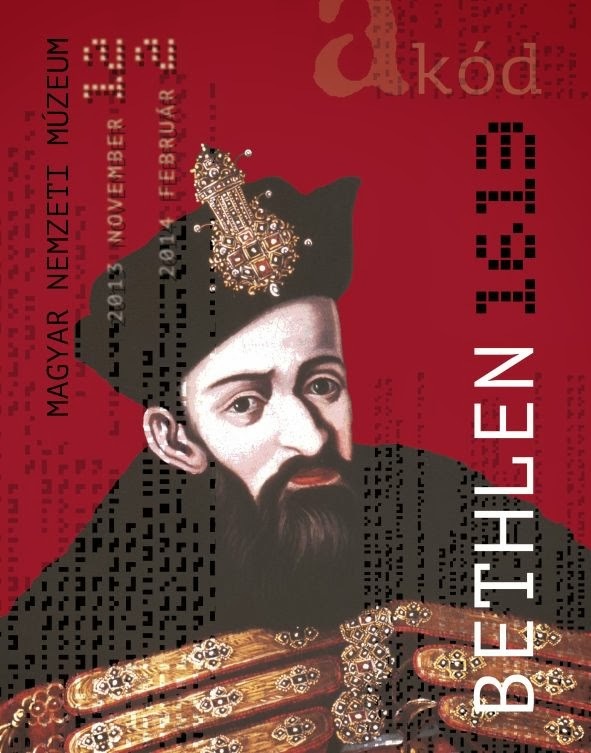 Titled Bethlen 1613, the exhibition is organized together with the Institute of History of the Hungarian Academy of Sciences. Coming up this week is the international conference Gábor Bethlen and Europe, at Kolozsvár / Cluj (October 24-26, 2013). More information on the website of the organizers, the Transylvanian Museum Society and the Hungarian Historical Institute of the Babeş-Bolyai University, Cluj. 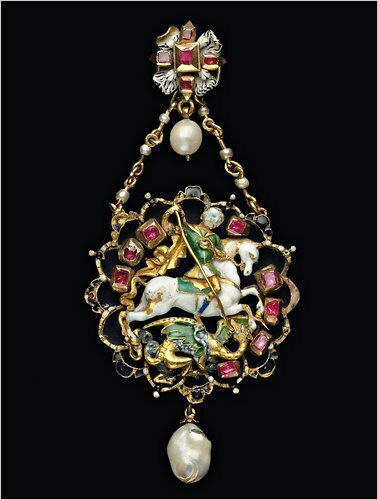 You can read about these jewels in the journal of the museum, Ars Decorativa (vol. 24). December 31st is the feast day of St. Sylvester, that is Pope Sylvester I (314-335), well known as the recipient of the Donatio Constantini, in which Emperor Constantine transferred power over Rome to the pope. The document is actually an 8th century forgery, as already proved by Nicholas of Cusa and Lorenzo Valla in the 15th century. Pope Sylvester also carried out several miracles - for example resurrecting a bull which was killed by a sorcerer during their contest or defeating a dragon which terrorized the populace of Rome. You can read his legend (from the Legenda Aurea) here. The Hungarian Angevin Legendary illustrates his story in six scenes (all in the main body of the codex, which is at the Biblioteca Apostolica Vaticana); I am including the two scenes mentioned above. In this post, however, I would also like to commemorate another Sylvester, Pope Sylvester II (reigned 999-1003), that is, the scholar Gerbert d'Aurillac. Gerbert became pope with the support of Emperor Otto III, and played a crucial role in establishing the Kingdom of Hungary as the newest Christian monarchy of Europe. He established the first archbishopric of Hungary at Esztergom, which became the center of the Hungarian church. The pope also approved the coronation of Hungary's newly baptized ruling prince, István - who became Hungary's first king. According to early chronicles and legends, the pope sent a crown to Stephen for this event. The coronation of St. Stephen took place on January 1st, 1001 (by most accounts). For his role in establishing Hungary as a Christian Kingdom, Stephen was canonized in 1083. Since earlier this year, the gold and silver collection of István Heller has been on view at the Museum für Angewandte Kunst in Frankfurt. István Heller has amassed an exquisite private collection of European goldsmith works, which had been shown at previous exhibitions and was published in several volumes by Hirmer Verlag. After a succesful career in medicine, Heller trained as an art historian late in his life, and at a mature age successfully submitted a thesis for a doctorate in the history of art - he is also the author of the books introducing his collection. István Heller has decided to make his collection accessible to the public through a permanent partnership with the Kunstgewerbeverein in Frankfurt am Main, thus the collection will have a place at the Museum für Angewandte Kunst Frankfurt in perpetuity. A total of 615 objects were placed in the Museum. 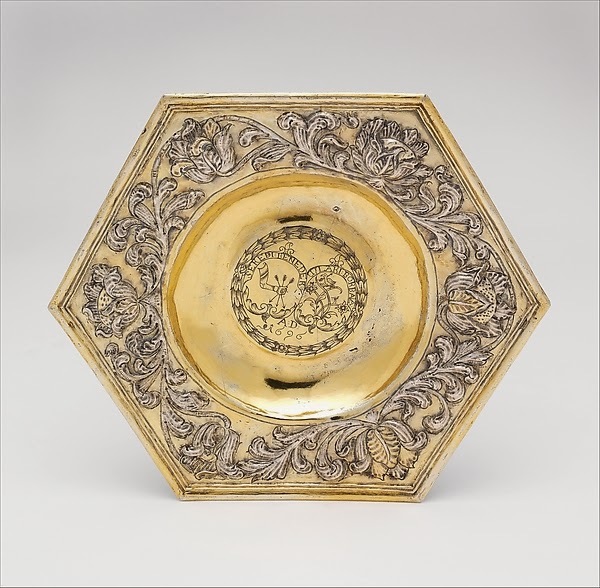 The Heller collection contains high-quality gold and silver objects, ranging in time from the mid-sixteenth century to the twentieth, largely from Central European centers of goldsmith art. All the important German centers of gold work are represented, as well as – for biographical reasons – those of Hungary and Transylvania. One of the four volumes mentioned above was dedicated to goldsmith objects from this territory in the collection. In the Museum für Angewandte Kunst Frankfurt, this magnificent collection will be permanently housed in a room of its own in the Historische Villa Metzler. The tasteful exhibition setting allows the visitor to trace the principles of ornamental design from the Renaissance to Art Nouveau. This text and the images are based on the press release issued by the MAK Frankfurt (and also available in German). You can find an image gallery at hr-online.de. If you are interested in such collection of gold and silver, you may want to read my earlier posts about the recent sale of Hungarian and Transylvanian goldsmith objects from the Herzog collection, or about the goldsmith objects which entered the Metropolitan Museum last year from the Salgó collection (see also part II and part III). 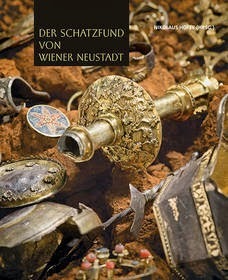 A new book by Evelin Wetter has been dedicated to late medieval goldsmith works from the historical Kingdom of Hungary. The book was published in the series Studia Jagellonica Lipsiensia, published by the GWZO at the University of Leipzig. 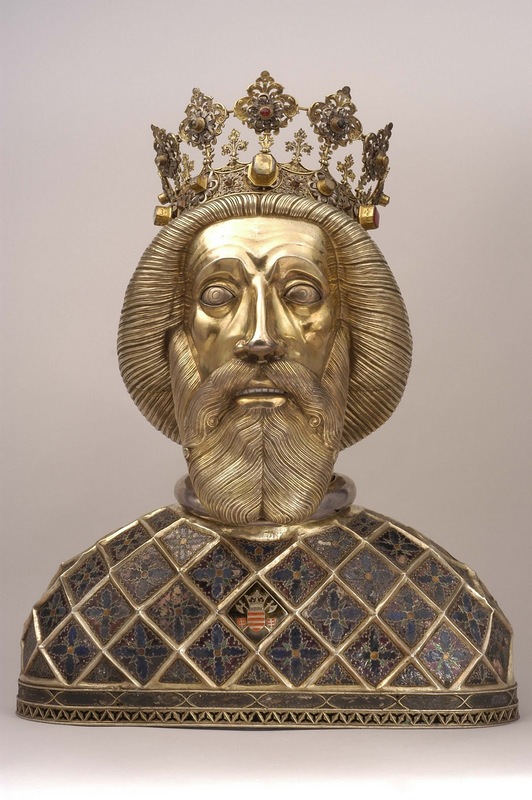 The series consists of art historical volumes about the time of the Jagiellonian dynasty (broadly interpreted as Central Europe during the 14-16th centuries). Of the eight books published so far in the series, this is the first one dedicated entirely to medieval Hungary. 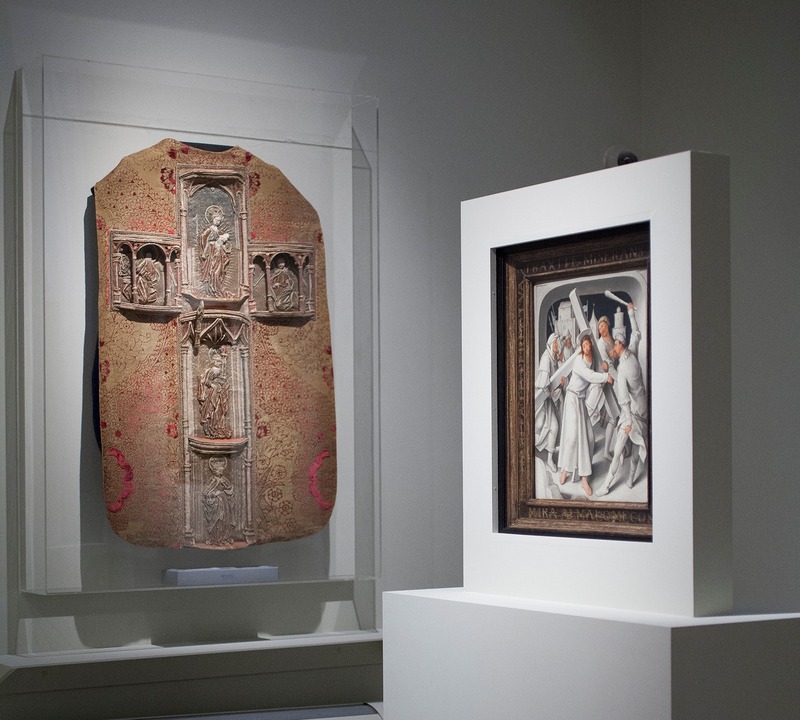 Evelin Wetter currently works at the Abbeg Stiftung in Riggisberg, and is a noted expert on late medieval liturgical textiles and goldsmith works. She has published extensively on these subjects, and contributed to various major Central European projects, such as the 2003 exhibition on Gothic Art held in Bratislava, or the 2006 Sigismundus-exhibition in Budapest. The present book is based on her Habilitationsschrift at the University of Leipzig. 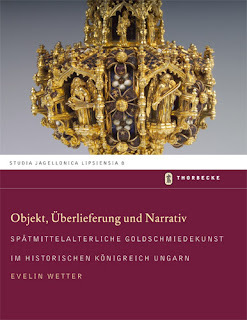 Titled Objekt, Überlieferung und Narrativ - Spätmittelalterliche Goldschmiedekunst im historischen Königreich Ungarn (Object, tradition, and narrative - Late medieval goldsmith's art in the historic Kingdom of Hungary), the book represents a major milestone in the research of Hungarian medieval goldsmith works. Unlike most other works published in this field, the book is not dedicated to details of technical questions, but rather focuses on the use and afterlife of the medieval objects. 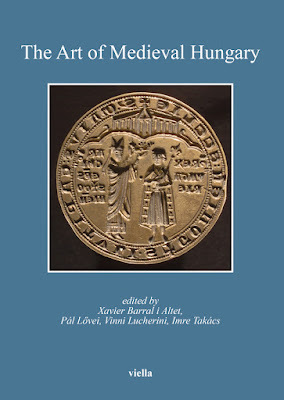 Significant chapters are dedicated to the survival and later use of liturgical objects and reliquaries, often in circumstances quite different from the time of their creation. Another focus of the book is the historiography, display and later interpretation of these objects. The chronological range of the book is thus from the early-15th century to the early 20th, while the territorial focus is largely determined by the survival of the objects, and is thus mainly Upper Hungary (roughly the present-day Slovakia) and Transylvania. The subject of the analysis includes such key works as the reliquary of St. Ladislas, as well as lesser-known objects, giving an overall view of the field. The often hard historical situations, the destruction of major medieval centers and the changing confessions of the population are equally treated, resulting in a complex analysis of Central European history. 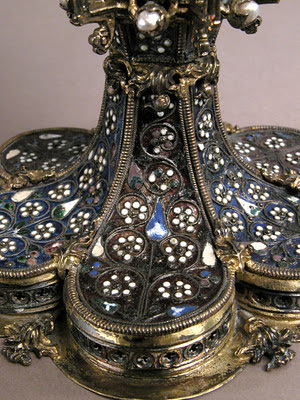 The chapters on 19th century historiography - especially in connection with such questions as filigree enamel - are similarly captivating. 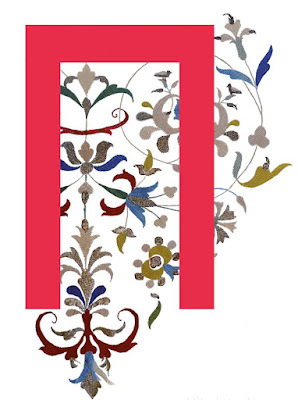 Another chapter is dedicated to profane goldsmith works, including those luxurious items which entered the Museum of Applied Arts from the Esterházy-treasury. The book is beautifully illustrated with 20 color plates and numerous black & white illustrations. All in all, the book represents a much-needed complex approach to the creation and afterlife of medieval Hungarian goldsmith works, and thus comes highly recommended. P.s. : Notice the similarity of the cover image to my sidebar image? 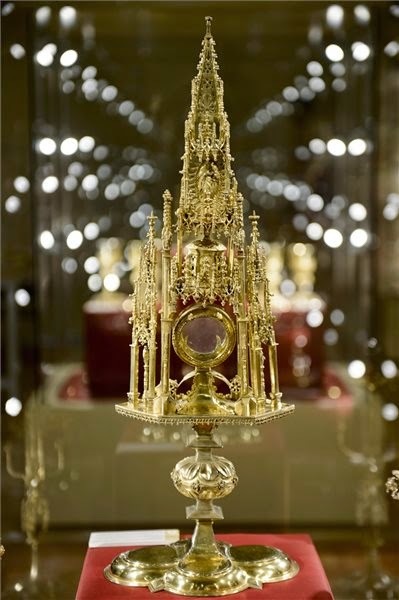 Yes, it is the same object, the chalice of Benedek Suki, today at the Cathedral Treasury of Esztergom - photos by Attila Mudrák. After some good news reported yesterday, today I have something sad to write on. As reported by Hungarian and Romanian press alike, the seal matrix of the town of Nagybánya has gone missing some time in late July. (Nagybánya was known as Asszonypataka or Neustadt in the Middle Ages, and was one of the most important mining towns in Szatmár county. The town is today called Baia Mare, and is the seat of Maramures county of Romania). 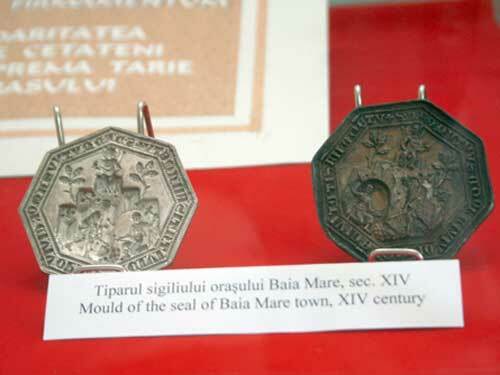 The seal matrix was stolen from a glass showcase in the County Historical and Archaeological Museum of Maramures County. The theft was announced on August 2nd. 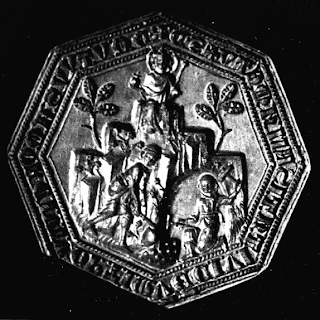 The octagonal silver seal matrix of Nagybánya is one of the celebrated miniature masterpieces of 14th century Hungarian goldsmith work. It can be dated to the 1360s, and was probably made in a royal workshop. King Louis the Great (1342-1382) has given several privileges to the emerging mining town, and supported construction of its great parish church, dedicated to St. Stephen. 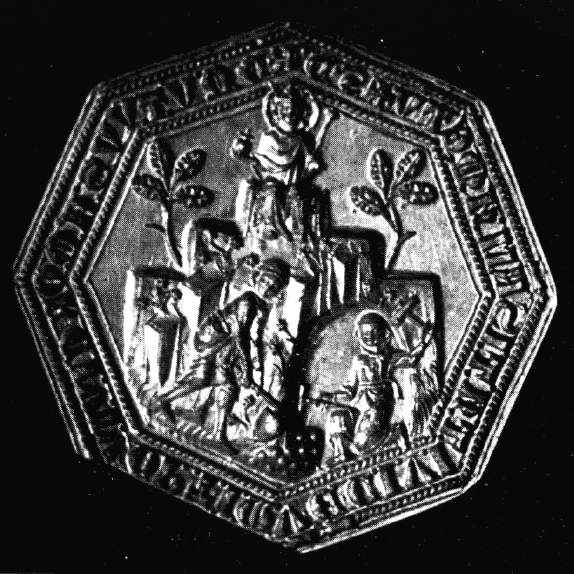 The seal shows a seated king atop a hill - likely St. Stephen, with two miners working below. The inscription on the perimeter reads: S[igilium] d[e] R[ivulo] D[ominarum], Mutuus amor civiu[m] optimu[m] e[st] civitatis firmamentu[m] (roughly: 'The mutual love of citizens is the best foundation of the city'). After missing for centuries, the seal matrix was found in a vineyard in 1904. It was put on display in the history museum in 2004. Hopefully it will be recovered soon. Read more: news report in Romanian and in Hungarian. Most recent overview of the medieval architecture and sculpture of Nagybánya - in particular an overview of the church of St. Stephen - is available in a new volume about medieval Szatmár county, available in full text in Hungarian and Romanian. Look for the studies of Szilárd Papp and Veronika Csikós. 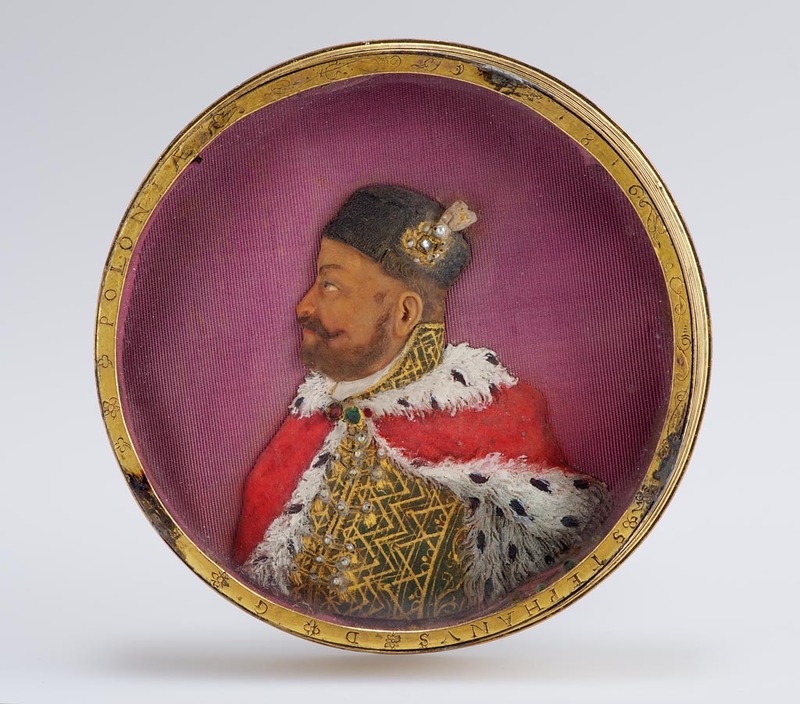 About 30 precious silver and goldsmith works from Hungary and Transylvania will be auctioned off at Christie's New York tomorrow (17 May 2011). (Sale 2447: Important English, Continental and American Silver and Gold). The pieces in question are all Renaissance and Baroque works, mainly dating from the 17th century. 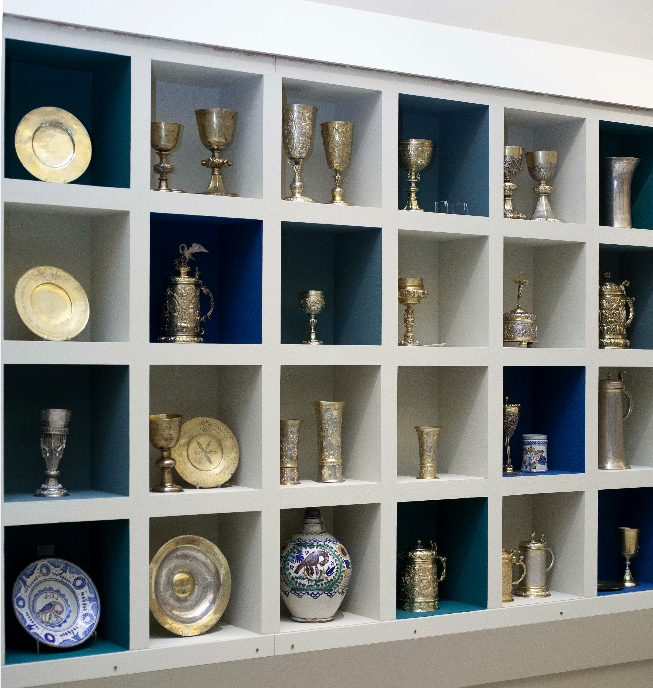 Before WWII, the objects all belonged to the Herzog collection. The collection of Baron Mór Lipót Herzog, a wealthy Jewish magnate in Budapest was one of the largest of its time in Hungary, which got largely dispersed during the war. The silver objects in the collection were last fully documented in a 1930 inventory, and most of the pieces were on view for the last time at various exhibitions at Budapest's Museum of Applied Arts at around that time. The pieces have been recorded as wartime victims of looting, and their whereabouts were unknown until this sale. The New York Times also wrote on the sale, and has this to say about the provenance of the objects, based on a telephone interview with the anonymous seller: "a Herzog family member had managed to bring the pieces to New York at some point. The family had long kept them in storage." You can browse the objects on the website of Christie's, where a full e-catalogue and a slideshow of objects is also avaliable. When browsing the auction catalogue, the lots in question go from Lot 99 to 127 + lot 132. Many objects from the Herzog collection are of course embroiled in restitution cases. Record-setting pieces, like the recently restituted portrait of Sigismund Baldinger by Georg Pencz have come to the market from the collection (Christie's sale 7862 of last year). Currently there is a major lawsuit going on, as heirs of the Herzog family sued the Hungarian state for objects kept in various Hungarian public collections. The emergence of these Hungarian silver objects among these circumstance is definitely most interesting. Nevertheless, after the best pieces of the Salgó collection entered the Metropolitan Museum, it would be nice to see these pieces stay together as well, and - preferably - enter a public collection. 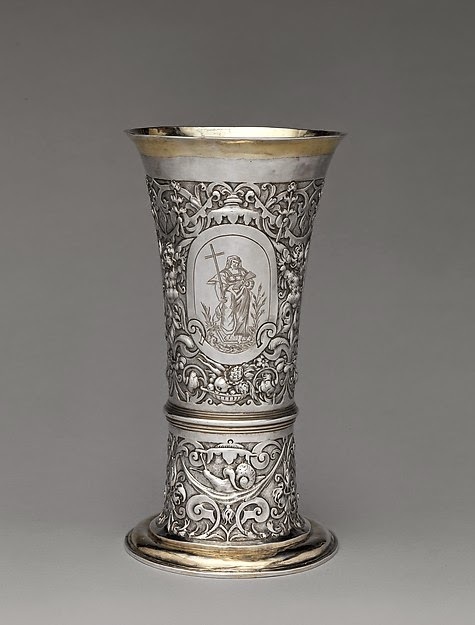 The Metropolitan Museum has just made available a number of detail photographs of the two medieval chalices which had recently entered the museum from the Salgó collection. 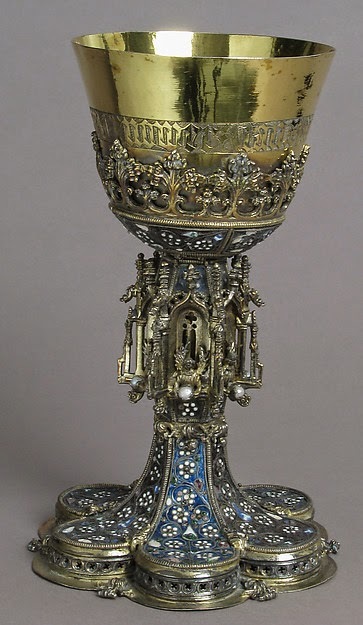 Both chalices date from the mid-15th century, and are decorated with a special technique very popular in late medieval Hungary: the so called filigree-enamel. 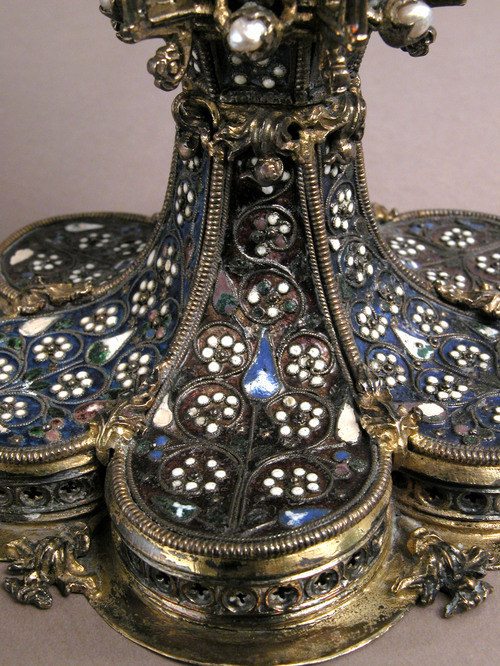 In this special variation of the cloisonné enamel, the fields of enamel are applied inside loops and shapes of filigree wire attached to the surface of the objects. You can read about medieval enameling techniques in this article (pdf) by David Buckton of the British Museum. 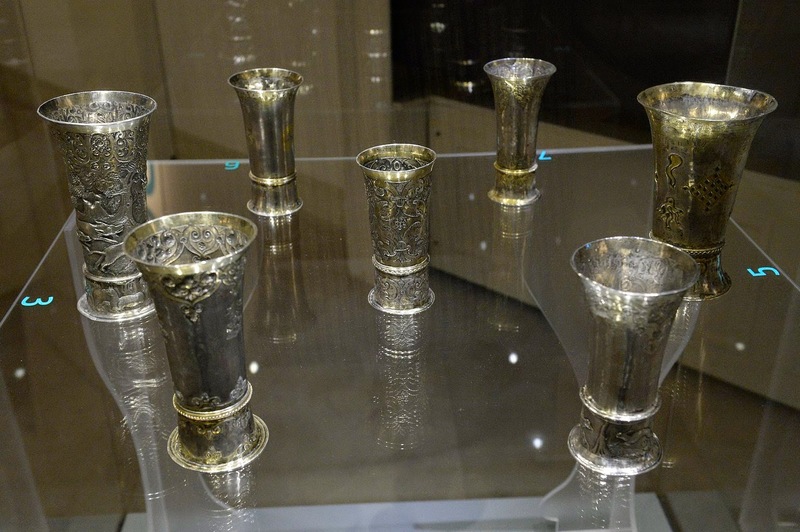 The two chalices are now described on the Metropolitan website as of "Central European" origin. 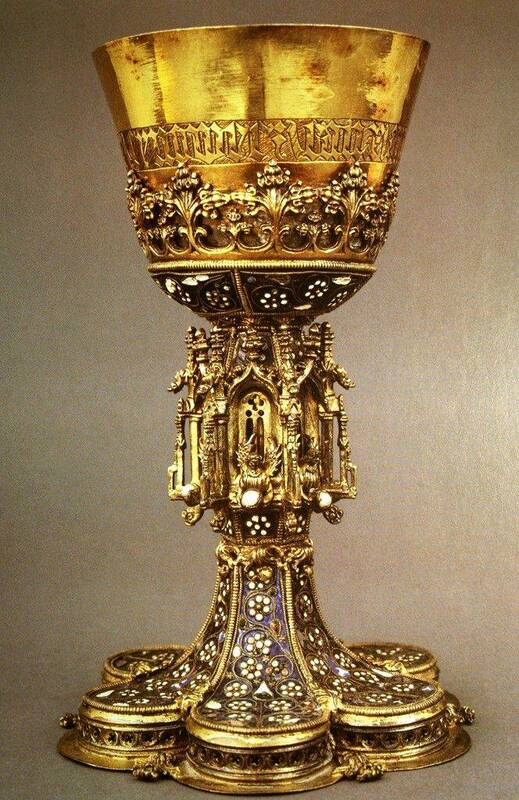 However, the technique and details of both chalices - which can be studies on these photographs - makes their Hungarian origin quite certain - there is plenty of comparative material available, such as this chalice. More information could be gleaned from the coat of arms on the foot of one chalice, and the inscription on the cup of the other. I wrote about the Salgó collection before in two previous posts. An important cache of medieval goldsmith works was found a few years ago, it was announced last week. The treasure was found by a man digging in his backyard in Wiener Neustadt. He, however, only took an interest in the objects quite recently, finally bringing them to the Austrian Office of Monument Preservation. On Friday it was reported that about 200 pieces were found - rings, brooches, other jewels, most apparently dating from the 13th-14th century. Currently no detailed information is available on the find, but several pictures are already circulating on the internet. The image on the left is from this report by Der Standard, but the same photos released by the Bundesdenkmalamt have been published in many other places. The Austrian weekly profil was the first to report on the find, and The Associated Press also reported on the treasure - finally the story was picked up by several news outlets worldwide. The Bundesdenkmalamt of Austria will provide more details at a press conference on May 2nd. The author of this blog of course would like to know whether any of the objects can be identified as of Hungarian origin. Update: here is the report on the press conference of the Bundesdenkmalamt, where some of the objects were put on display. A Hungarian archaeological blog (Sírásók naplója) reported on a recent lucky find in Pest county of Hungary. Last week, remains from the period of the Hungarian Conquest (early 10th century) have been found on a field, and excavated by archaeologists from the Pest County Museums. Of the three tombs found, one belonged to a high-ranking male, and all his accessories were found intact, including his belt and his arrow. Most important is the his sabretache plate. 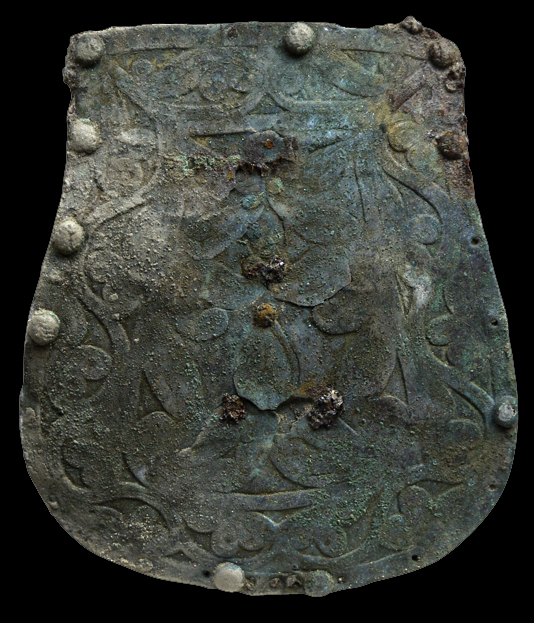 To quote András Róna-Tas (Hungarian and Europe in the Early Middle Ages - An Introduction to Early Hungarian History), "the sabretaches are the most characteristic finds from graves of the Conquest period. They were strengthened with metal plates, generally of silver. At the side of each bag, a strap was threaded through, and both this strap and that which attached the bag to the belt were decorated with mountings. The sabretache, which fulfilled the function of a pocket, would have held fire-making tools." Only about two dozen similar objects have been recovered from the Carpathian basin, and very few of them come from documented excavations, so the find is of great importance. As the archaeologists, Ágnes Füredi and Tibor Rácz report on their blog, the last similar find was made in the late 1980s, when tombs at Karos were excavated. The photo above is from the Sírásók naplója blog - you can find more images of the excavations there. 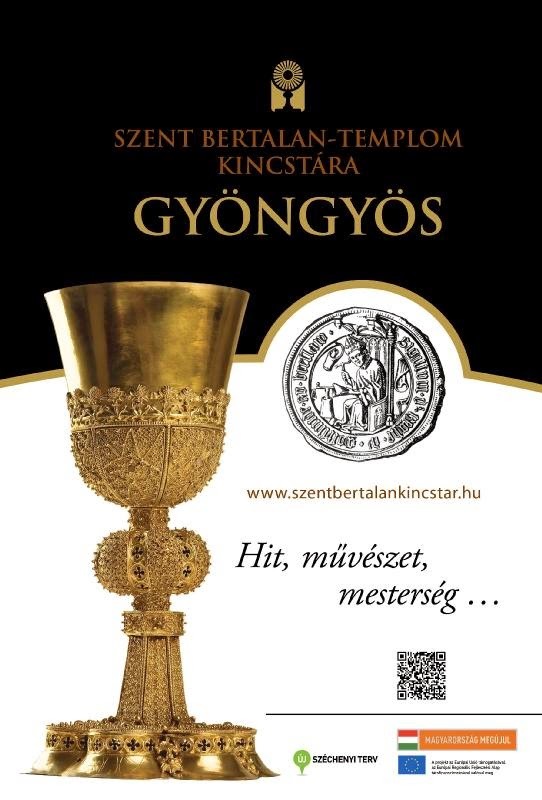 For more information on Magyar metalwork of the Conquest period, visit the website of the Archaeological Department of the Hungarian National Museum. Sabretaches enjoy some popularity in contemporary Hungary - I found the most complete list of such finds on one of the traditionalist websites, the Tarsolybearers' Homepage. Defitinely have a look at the sabretache plate from Galgóc, maybe the finest of such objects, and the first one to be found, back in 1868. 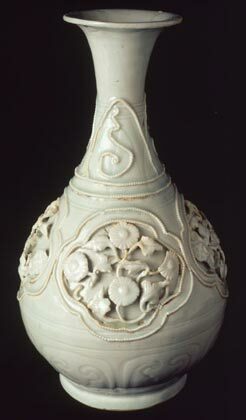 The so-called Gaigneres-Fonthill vase at the National Museum of Ireland, Dublin is regarded as the oldest well-documented Chinese porcelain object to enter Europe. It is a porcelain vase with bluish-white (qingbai) glaze, dating from the beginning of the 14th century. The history of the vase is given as follows in almost all available English-language sources: The vase arrived in Europe probably as a gift to King Louis the Great of Hungary, given by an embassy of Nestorian Christians from China, who visited Pope Benedict XII in 1338. The piece then supposedly was mounted by King Louis, and given as a gift to Charles III of Durazzo, upon his ascension to the throne of Naples in 1381 (after the defeat of Louis' hated enemy, Queen Joan). That would explain the combination of Hungarian and Neapolitan Angevin coat of arms mounted on top of the vase. 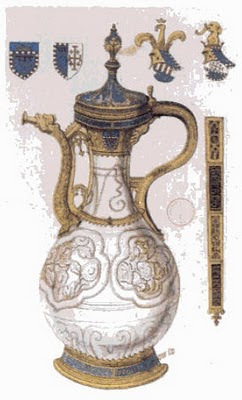 This theory, first elaborated by Mazerolle in 1897 (Gazette des Beaux-Arts), is based on a drawing by Gaigneres from 1713, which depicts the elaborate medieval silver-gilt mounting and enameled heraldic decoration of the vase (Paris, Bibliotheque Nationale). Mazerolle did not know that the vessel, without its mount, was purchased by the National Museum of Ireland in 1882 for about £28. The mount was removed at an unknown date during the 19th century, and the object entered the National Museum of Ireland unrecognized. The vase was identified by Arthur Lane, who then pieced together the entire story ("The Gaignieres-Fonthill Vase - A Chinese Porcelain of about 1300," Burlington Magazine 103 (1961), 124-132). Lane's article is still the general reference on the object, cited by many (for example: David Whitehouse: "Chinese Porcelain in Medieval Europe," in Medieval Archaeology, 1972, see online here.). This information is also given by the National Museum of Ireland website and the piece was featured with this data in an exhibition at the Victoria and Albert Museum. The study of Arthur Lane, Keeper of the Department of Ceramics at the Victoria and Albert Museum, also appeared in Hungarian in the art history journal Művészettörténeti Értesítő - sadly only after the premature death of Lane. Béla Krisztinkovich, a Hungarian expert on ceramics, published a response to Lane's article in the same Hungarian journal. It appears that his publication remained unnoticed outside Hungary (Krisztinkovich, Béla, "Hozzászólás Arthur Lane a Művészettörténeti Értesítő 1967/I. számában megjelent posztumusz cikkéhez a Gaignières-Fonthill vázáról," Művészettörténeti Értesítő 18, 1969/2, 187–192.). 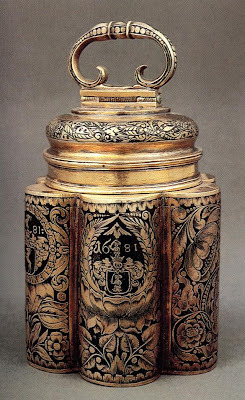 Krisztinkovich provides a close analysis of the Gaigneres drawing, which preserved the feature of the mount of the object, and its heraldic decoration. The heraldic decoration is that of the Neapolitan Angevin family, along with the coat of arm of the Hungarian Angevin kings. This of course gave rise to the theory outlined above. However, all branches of the Neapolitan Angevins had a claim to the throne of Hungary, and thus they used the Hungarian coat of arms in their heraldic representation as well. After analyzing the heraldic decoration and other features of the object in details, Krisztinkovich arrives at the conclusion that the vase was mounted for Queen Joan II, successor of King Ladislas at the throne of Naples (1414-1434). His father, Charles III of Naples was king of Hungary for a brief time (Charles II in Hungary) - but was murdered swiftly, making way ultimately for Sigismund of Luxemburg. Joan's brother, Ladislas, also claimed Hungary, but failed to obtain the crown. Similarly to her brother's claim, Joan used the title of Queen of Hungary until her death in 1435. The argument of Krisztinkovich is clinched by the inscription on the spout of the jug: JEHANA, clearly referring to Joan. 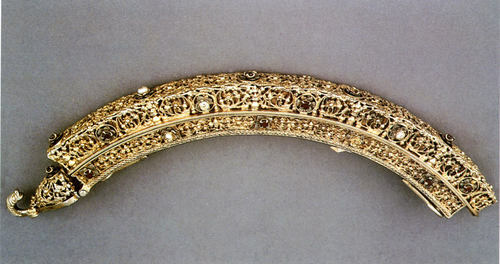 Hungarian goldsmith objects enter the Metropolitan Museum, part II. I could not resist - I have to include here a few other superb objects from the Salgó collection. All these have been published before in the catalog of the collection, and now appear in the Collection database of the Metropolitan Museum, as outlined in my previous post. 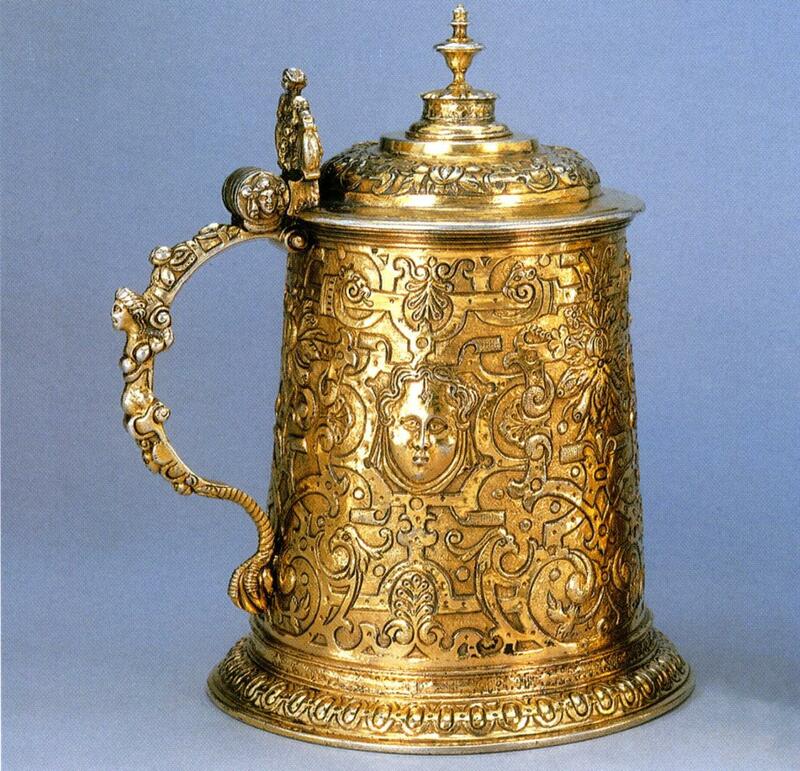 Then there is a nice late 16th century silver-gilt tankard from Transylvania, made by the goldsmith Gregorius Gunesch (Nagyszeben/Hermannstadt/Sibiu). It is not illustrated in the collection database, the picture below is from the 1996 catalog. 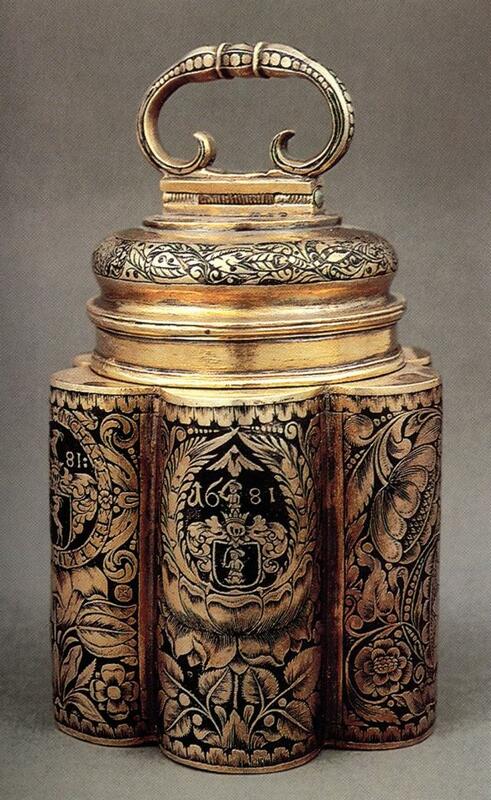 Somewhat later is one of my favorite pieces from the Salgó-collection, a spice canister from 1681, commissioned by Michael Teleki, chancellor of Mihály Apafi, Prince of Transylvania. Once again the image below is from the 1996 catalog - a brief description is given by the Metropolitan Museum collection database. There is a lot more in the collection. I will give an update here, once more images will be added to the collection database of the museum. One of the most important collection of Hungarian goldsmith works outside Hungary was assembled by financier Nicolas M. Salgó, former US ambassador in Budapest. Salgó collected all kinds of Hungarian art; his painting collection was donated to the Zimmerli Art Museum at Rutgers in 2006, as you can read here. Most important, however, is his collection of Hungarian silver, which was cataloged by an expert from the Hungarian National Museum, Judit H. Kolba. The handsome English-language catalog was first published in 1996, and is still in print (Hungarian Silver: The Nicolas M. Salgo Collection. London, 1996): see here. 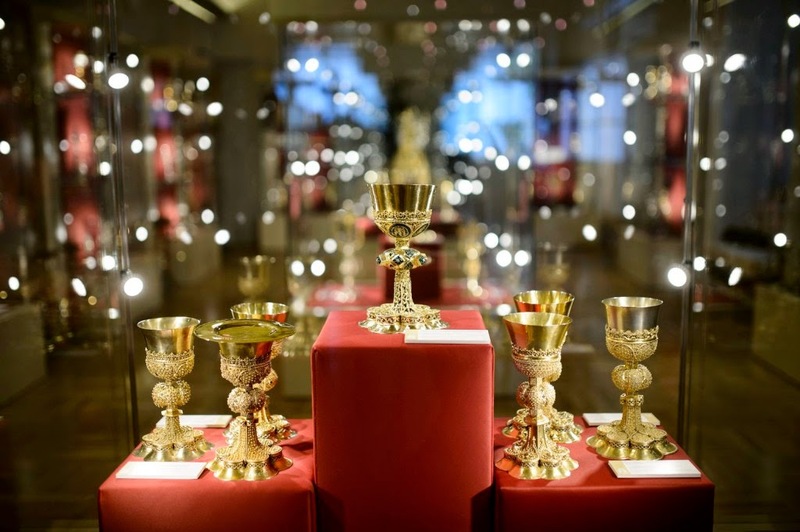 The collection includes two superb medieval chalices from Hungary, both coming from the Viennese collection of Nathaniel Rothschild. One of them, dating from 1462, can bee seen on the left. 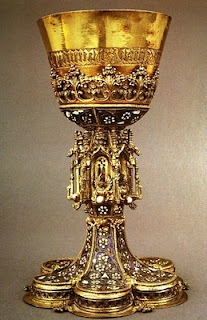 Both chalices are decorated with filigree enamel, a technique which came to prominence at the Hungarian court of King Sigismund during 1420s. In 2010, much of the collection entered the Metropolitan Museum of art, as "Gift of The Salgo Trust for Education, New York, in memory of Nicolas M. Salgo". No press release has been issued about the transfer of the objects, but most objects already appear in the collection database. 83 objects are listed in the collection of the department of European Sculpture and Decorative Arts. If you go to the main search page of the museum, entering "Salgo" will provide you with the full list of these - although not all objects are illustrated at this stage. You can find beautiful objects here, such as this 17th century coconut cup seen on the right.